The Cal men’s and women’s crew teams were certainly ahead of everyone else at the Head of the Charles Regatta Sunday. 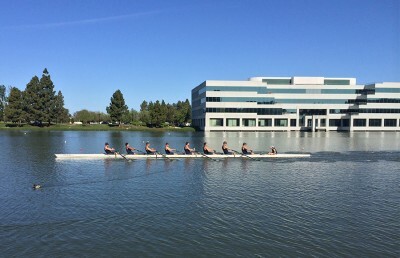 In the men’s championship fours race and the men’s and women’s championship eights races, Cal had strong results and was even able to prevail over longtime rivals. The men’s championship fours came in third place, following boats from Camp Randall — a rowing club based in Madison, Wisconsin — and Cambridge. But again, Cal came in ahead of Washington by more than 15 seconds. In Cal’s third race, the women’s team surpassed expectations and beat last season’s No. 1-ranked Brown University to win the entire championship eights race. Not only was the team victorious, but it finished the race first by a margin of twenty five seconds. The fact that the women were able to come in first so handily, even while testing out new combinations of freshmen and veteran rowers, is a positive prophecy of their season to come. Though Cal’s races collectively did not span more than an hour, the team had a highly successful weekend in Boston and has returned to prepare for its next fall races. The Head of the Charles was a rarity because, for most of the season, the men and women compete in different regattas. Next on the schedule for the men is the Princeton Chase on Oct. 26, and the women will race in the Head of the American in Gold River, California, on Saturday.